Flexion Contracture | FLO-TECH® O&P Systems, Inc. The Flexion Contracture System is a modified FLO-TECH-TOR™ and complete VCSPS™ with Fillauer jointed uprights. The anterior distal portion FLO-TECH-TOR™ follows the angle of the contracture, while the posterior section allows for graduated reduction of the contracture. 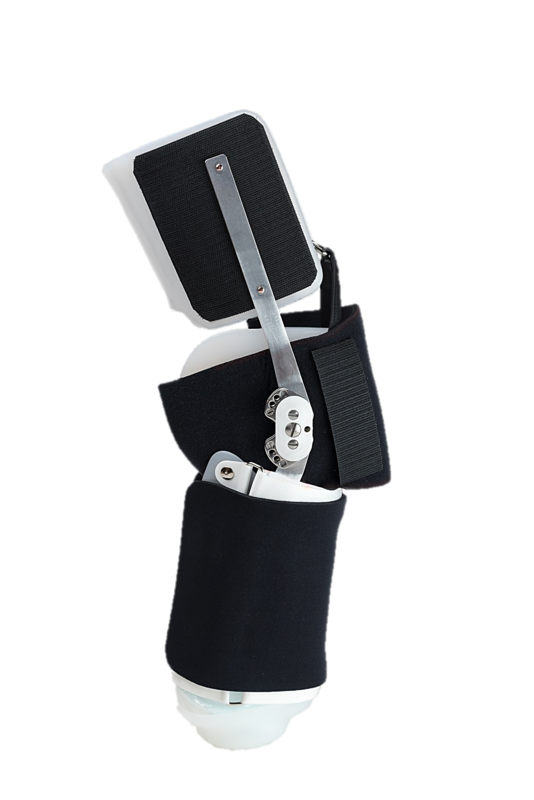 Create a jointed Rehab or Prep prosthesis by adding a UFOS™, which allows for the attachment of Pylon System and Foot components for ambulatory training. 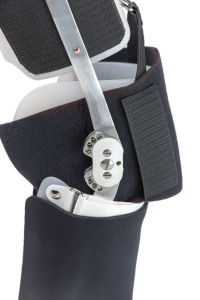 Remove the joints and thigh section from the flexion control socket when the contracture is eliminated to create a Prep System. Custom sockets and systems are made from Practitioner measurements and adhere to the patented design principals established in our Adjustable Post-Op Preparatory Prosthetic System. We make every effort to ship custom orders within 24-48 hours. We also have components for all systems.